Heavy duty metal base featuring a reinforced spring holder. Supplied complete with cleaning sponge. Soldering Iron Stand is rated 4.9 out of 5 by 7. Rated 5 out of 5 by Flyingpops from Great value Excellent value for the price and so stable. Rated 4 out of 5 by Ukulelebay75 from Good quality, sturdy. 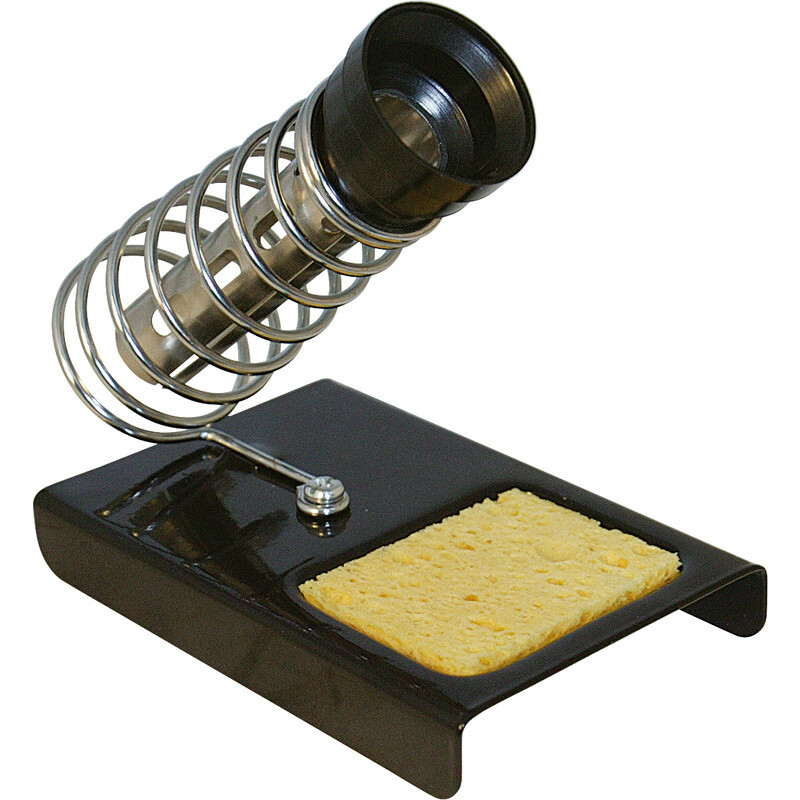 Great value, good quality soldering iron stand. Much safer than trying to hang iron cupboard handles.